Lounge suits have become a popular alternative for grooms who don’t want to wear traditional morning dress. Read on for our guide to wearing a lounge suit and how it can work for your wedding. Originating from the mid 19th century, a lounge suit refers to the less formal version of morning dress, frequently worn by gentlemen during the weekend. Often referred to as a business suit, a lounge suit features a shorter jacket and is regularly worn to the office and specific events, such as christenings and weddings. It comes as a 2-piece, with jacket and trousers, or as a 3-piece with the addition of a waistcoat. The tradition is to ensure all three pieces are made from the same cloth but at Whitfield & Ward, we prefer a more contemporary style and would suggest mixing block colours with patterns. A lounge suit jacket can be single breasted with one or two buttons or double breasted; there are no restrictions on colour, cut or fabric. What is lounge suit dress code? This dress code requires a suit, shirt and tie, and is typically worn at business events, both daytime and evening. It’s also quite common for social events and dinner parties where black-tie dress code is not requested. A lounge suit should be worn to flat racing events such as Royal Ascot, except if you’re in the Royal Enclosure, where traditional morning dress is compulsory. When choosing a lounge suit for your wedding, the key is to make it look as far removed from business dress as possible! Here are our top tips for transforming the humble lounge suit into a wedding suit. 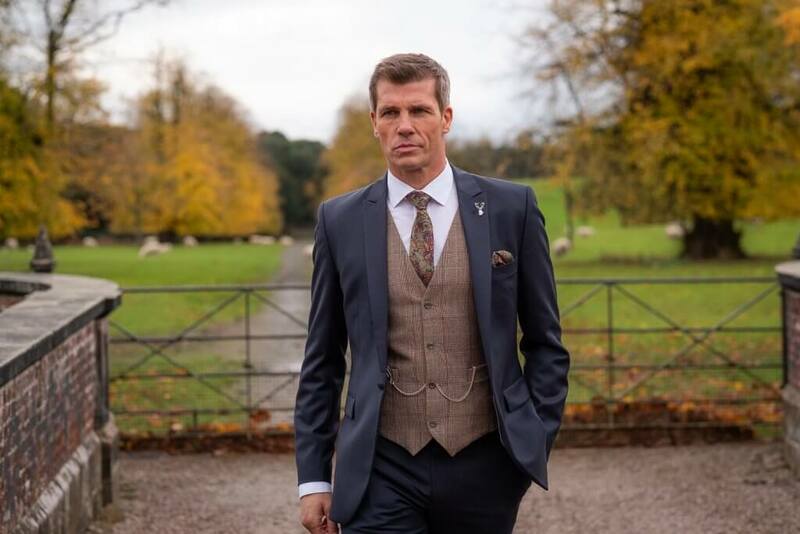 In our view, your waistcoat is the focal point and can transform what would otherwise be an ordinary suit into a statement piece. As the majority of your guests are likely to wear a waistcoat too, you’ll need to think about how to stand out. Our tip is to use pattern to break up a block colour suit; this can be done with your choice of waistcoat. The more adventurous groom can take this to another level by introducing a contrast pattern jacket. Your suit fit matters; a well fitted suit will distinguish you from the rest of your wedding guests. 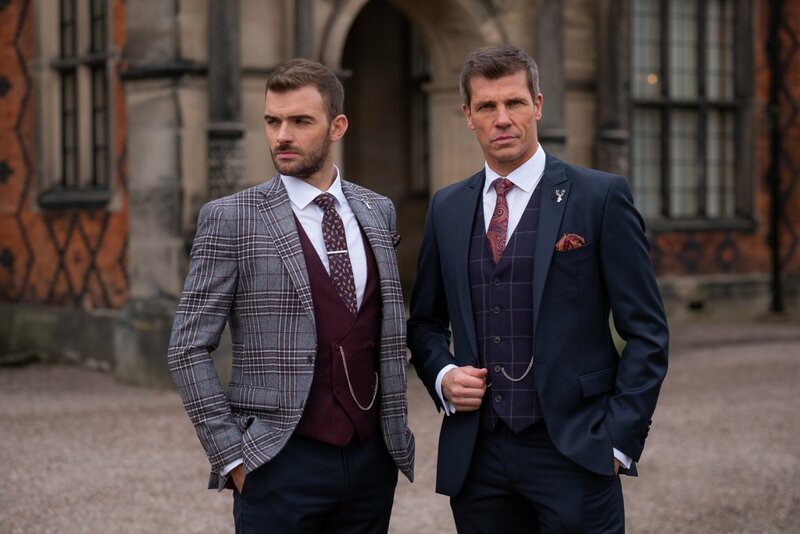 At Whitfield & Ward, our Highgrove lounge suit range is available to hire in three different cuts to ensure we can give you a great fit. In fact, our grooms often say “When you wear a Whitfield & Ward suit, it won’t feel like a hire suit”. 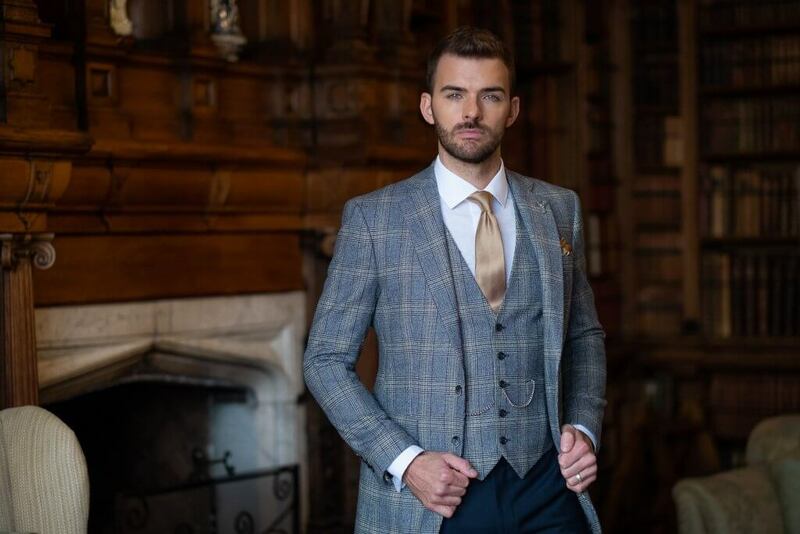 Should you decide to buy, we also offer a bespoke tailoring service, where you can design a suit to emphasise the best parts of your build, helping you to feel amazing on your big day. Your accessories play such an important role and will add an extra layer of personality to your overall look. The byword here is contemporary yet timeless. 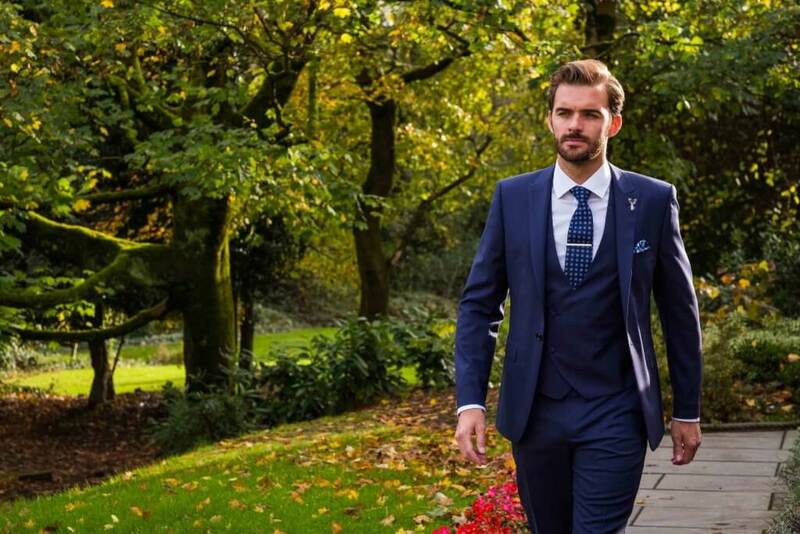 At Whitfield & Ward, we offer our customers an individual styling appointment to carefully consider the ties, pocket squares and shoes to suit their wedding. We hope you found our guide useful and we’d love to help you choose a lounge suit that works for you. To schedule your personal styling appointment, call us on 01625 536 545 and we’ll handle the rest!